LOS ANGELES: The Los Angeles County District Attorney’s Office is reviewing a 1992 sexual assault accusation against Oscar-winning actor Kevin Spacey. A statement released said that the alleged incident involved an adult male. The sheriff’s department said it began investigating the matter on December 11 last year and presented its results to the district attorney last week, five months after Spacey was fired from Netflix political drama House of Cards over allegations of sexual misconduct accusations. A spokeswoman for the actor, Laura Johnson, declined to comment. The nature and origin of the sexual assault accusation were not disclosed. It was unclear if California’s statute of limitations on prosecuting criminal sexual assault, which is normally 10 years, would apply. Spacey, 58, became embroiled in controversy last year when actor Anthony Rapp accused him of trying to seduce him in 1986 when Rapp was 14. And it hasn’t ended there with More than 30 men have said they were victims of unwanted sexual advances by Spacey, one of the most prominent Hollywood figures to be publicly accused of sexual misconduct since accusations against movie producer Harvey Weinstein sparked the #MeToo movement on social media. 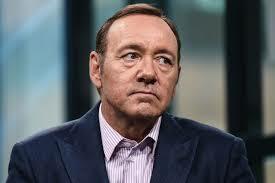 Spacey later apologised for any inappropriate conduct while denying any specific memory of the behaviour in question. The American Beauty actor also came under fire for using the occasion to acknowledge for the first time that he was gay, a statement, gay advocates criticized as conflating issues of sexual wrongdoing with sexual orientation. The fallout resulted in Spacey being dropped from the sixth and final season of the Netflix series House of Cards, and erased from the 2017 movie All the Money in the World. Christopher Plummer was brought in take over his role and reshoot all of Spacey’s scenes. London’s Old Vic theatre, where Spacey served as artistic director for 12 years, said last year that it received 20 accusations of inappropriate conduct by Spacey between 1995 and 2013.